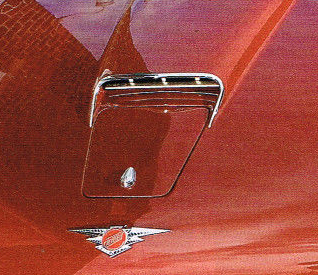 Jensen C-V8 Air intake Grille - Now sourced! See below. I have a feeling this one is going to be a mission. 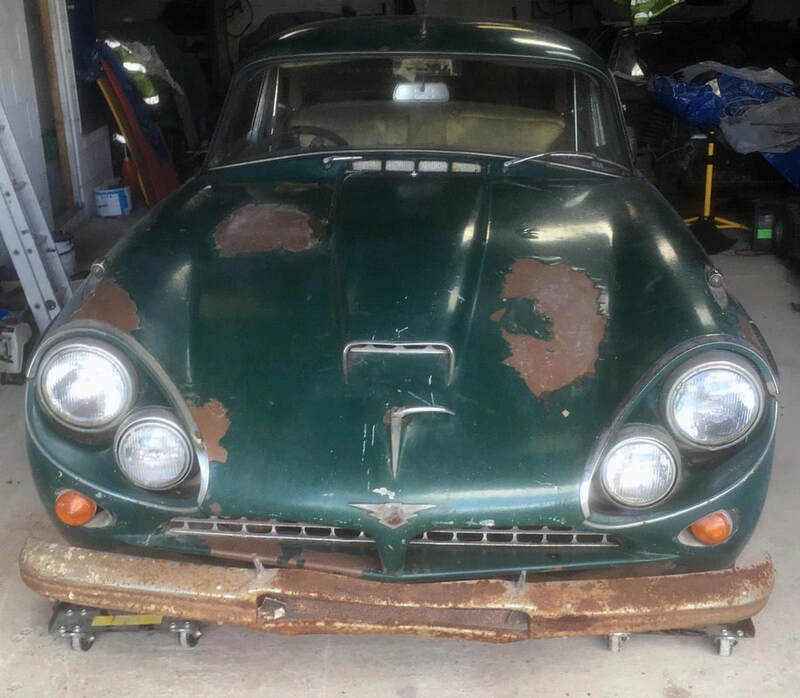 There was a grille in the air intake of the bonnet of a Jensen C-V8. Mine is missing, So the hunt is one. Apparently, the grille was made for exactly the same material and style as the front grille that covers the radiator. Pictorial reference is here on this page. Hopefully we can source or fabricate one. C-V8 Air Intake Grille now sourced thanks to a Jensen Owners Club Member. 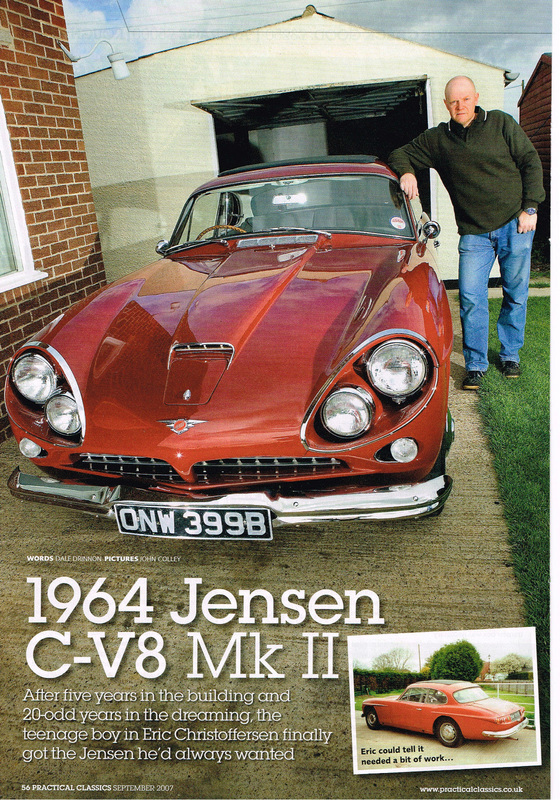 Thanks to Stuart Jack of the Jensen Owners Club and fellow Jensen C-V8 owner. Stuart had this original grille and has sold it to me. Stuart took this picture on the left. You can see it is quite a basic affair and looks like it is made from the same material as the Lower Grille that feeds air to the radiator. I'll post more detailed pictures of the grille when it arrives here in Kent. Picture below is an overlay.